Post (URL Link) to other websites or blog, for growing traffic and get high page rank. It's called Black Hat SEO. Many webmasters make comments on various blogs, but their intention is only to get backlink,s nothing else. And just write (Name/URL) to make a comment in blogger. Now you can do is disable post clickable link on the blogger comment. 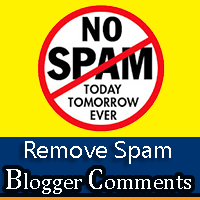 And you will get good result spam than before this use for your blog. How To Make Money Online ...:::: Earn Methods ::::... 4: Delete the entire code. 5: Now you are not face have a huge spam in your comments. And try to post links in your comment box area, you see the links are not clickable. Yeah that is so important to remove such kind of links. Also you must use buddypress plugin development for your site if you want to get higher traffic to your site.